When work and home commitments collided with my race calendar, I had to withdraw from the Ultra Race of Champions, which would have been my second ultra. I had been looking forward to that race. However, as I shuffled plans, my initial disappointment gave way to excitement when I realized that I could return to Wisconsin for an Endurance Challenge Series event. 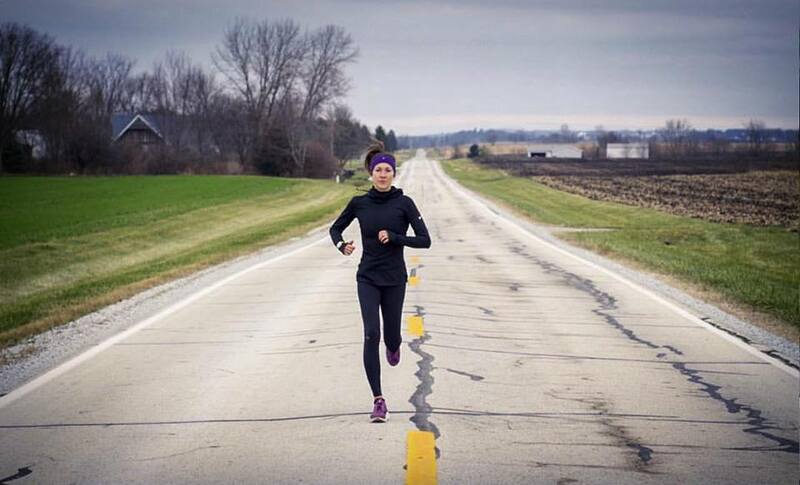 As much as I am looking forward to the Wisconsin race, I am probably not looking forward to it as much as Molly Culver, who has won the 50-mile event three years in a row. This year, I will be doing the 50K event. But there are options for literally every runner — 5K, 10K, half marathon, marathon, marathon relay and the two ultra distances. The longer races take place on Saturday, Sept. 17, and the shorter events are Sunday, Sept. 17. Culver, who was a competitive swimmer in college, is a relative newcomer to running and ultra racing. But she is off to a tremendous start. Here are some questions and answers about her background, ultra racing and her tips for other runners. Take me back to the beginning. When you did start running, and tell me about competing in high school and/or college. I actually swam competitively, about 16 years, through college at Saint Louis University. I swam distance freestyle (500, 1000 and 1650). When I graduated from SLU, I was really burnt out from swimming, I decided to start running. I was instantly hooked, running before and after work. On Aug., 17, 2013 (one month before the race) my dad persuaded me to do the North Face ECS Wisconsin 50-mile race. I really had no “racing experience” let alone even trail running experience. I went into the race with no expectations; I just wanted to finish it. My performance was shocking to even me. Since then I have focused on how to really train and fuel my body for the ultra distance. Tell me about your growth as a runner. I honestly haven’t had much growth as a runner. I think I’m in that phase right now, as I’m so new to the sport. I’m still learning how to train properly for my body. However, I’ve had a significant amount of “mental growth” as an athlete over all in the past 18-20 years. Swimming and running are both sports that are over 75 percent mental and to be successful you have to be tough. I never really had a race in my swimming career that I felt overly proud of. I was constantly working harder and harder to achieve that, this made me into a very driven athlete. I think with the correct training anything can be possible. Why ultras? Why not focus your energies on marathons, or shorter distances? I love the challenge. Although, I haven’t really done any other distances I do know my strength is my endurance. According to UltraSignUp, you have won the women’s 50-miler at Wisconsin the past three years. What is your favorite memory of one of those events? My favorite memory is the first year I ever did the race. I will never forget showing up to the race, thinking to myself, “What did I get myself into? !” I had no idea if I would finish, let alone get first. I remember feeling so great the entire race. As I finished there were plenty of people crossing the line, women included. When people said, “Congratulation, on finishing first!” I honestly laughed and thought these people have the wrong girl. The atmosphere. Everything is always run so smoothly. There are so many distances racing that weekend. The support of the other athletes is amazing and so are the volunteers! My readers include people who want to run their first ultra and others who have completed some but are still learning. What are some tips that you would recommend for training, general nutrition/diet and — of course — race day? My biggest “training” tip is running twice a day. Especially for those who work or are sitting most of the day. Running twice really help my body break out the lactic acid that I build sitting at work. During that second run you really train your body to work through that heavy feeling that you get during miles 35-45. Nutrition is so hard, there are so many products out there. My best advice is test everything on training runs and when in doubt stick with the most basic things you need — water, electrolyte drink and bland foods. You will never know what works for you until you try! Race day, channel positive thoughts. Your body is an amazing vessel and capable of anything as long as you have the correct mindset. You can’t focus on the factors that you can’t control. It’s a long day so be patient, calm, and most importantly have fun! Talk some more about the nutrition aspect. How do you fuel for your long training runs, and during ultras? This is definitely something I’m working on still. I try to stick to the basics, water and electrolytes. I often only train with a handheld water bottle and a couple of the Blocks from Cliff Bar. I’ve found those are easier on my stomach than the GU packets and they have enough electrolytes/carbs. However, they can be sugary (as a lot of these products tend to be). I’ll eat about two at a time every five miles or so. During races I will have the shot Blocks and Cliff Bars (broken into mini pieces). Ideally I would like to race more 50s throughout the year (2017 and beyond). The last few years I have had a busy schedule with graduate school and a new job so I really only did a handful of races. The back half of this year I have the Wisconsin Endurance Challenge Series in September and the California ECS Championship 50-mile race in December. A bucket list race would be Western States 100. My father, Craig Culver. He is a phenomenal athlete and extremely hard worker. His achievements as a triathlete and runner are astounding and that alone is inspiring. But, what I find most inspiring about my father is his drive and love for endurance athletics, running, swimming, etc. He truly wants others to succeed. He’s an amazing coach and really instills the mindset that you can do anything you put your mind to. The unknown that is associated with our bodies. We are all capable of so much more than we realize. I love the idea that you can continue to train and push your body outside the “normal” limits. Number of years running: Competitively, a little over three years. How many miles a week do you typically run: I try to be around 150 miles a week, that’s my sweet spot. Point of pride: Winning the Endurance Challenge Series Wisconsin three years in a row. Favorite race distance: So far, 50 miles … but, that may change as I try different distances! Favorite pre-race or training food/drink: Coffee! Coffee! Coffee! I usually have toast with peanut butter and a banana before every race race/long run. Favorite or inspirational song to run to: I don’t run to music, but I love the song Roar by Katy Perry, that usually gets me ready to go! Favorite or inspirational mantra/phrase: Limitations are only a perspective in your mind. Once you realize that and overcome that, anything is possible. I truly believe anyone can be successful when they are able to overcome the negative obstacles in their mind. Henry Howard is a professional writer/editor, more than 10-time marathon finisher, Swiftwick ambassador, and one of Angie’s coaching clients. Follow him on Twitter @HenryHoward or on Instagram @HenryHoward.